Some Italian restaurants in Houston have been family owned and operated for decades, while others are just starting to make their mark. No matter what you decide to do during your time here, these Houston inns and hotels will make sure you have the best possible trip. 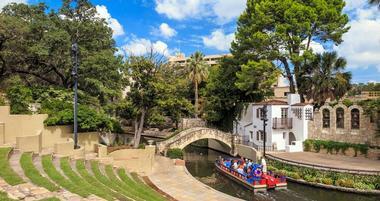 Plan a weekend trip to San Antonio to stroll along the River Walk, visit the Alamo, San Antonio Missions National Historical Park and other great attractions. 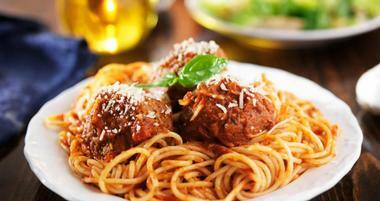 Take in the scenery, visit the museums, listen to music and dine at unique eateries around the city. People have different ideas about how they want to spend their Spring Break, but there are some destinations that became famous because they have something for everyone. Not only is breakfast the most important meal of the day, it’s also the most enjoyable one, and boy does Austin know how to make a mean breakfast. Images of Texas for non-Texans usually include icons like Texas longhorn cattle, chili con carne, Texas Hill Country, and the Dallas Cowboys, aka America’s Team. Texas is a beautiful and diverse state to explore on a weekend getaway or a longer vacation, home to awesome cities, towns, wine growing areas, charming inns, luxury resorts and five star hotels. 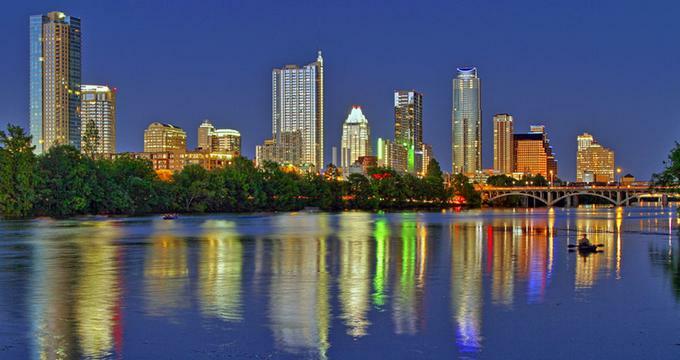 Find weekend getaway ideas from Austin or Dallas. 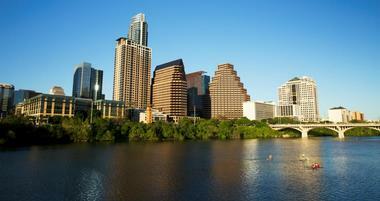 Dallas, Texas, is one of the most exciting cities to visit on your weekend trip to Texas. Featuring an incredibly active art community, Dallas’ museums are on the list of top places to see in the city. The Nasher Sculpture Center is home to one of the world’s most celebrated contemporary sculpture collections. On the other hand, the Dallas Museum of Art features permanent collections that date back to the 3rd century. Other notable museums in the city are the Sixth Floor Museum at Dealey Plaza, a tribute to President John F. Kennedy, the Perot Museum of Nature and Science, perfect for curious children, and the George W. Bush Presidential Library and Museum. Families are sure to enjoy an active afternoon in Klyde Warren Park and the Texas Discovery Gardens, while history buffs and culture lovers will definitely love a trip to the Dallas Farmer’s Market and Heritage Village. 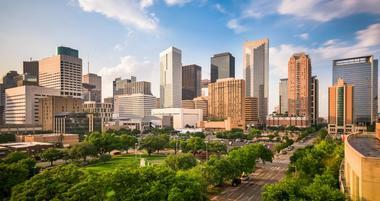 A great destination for large families, couples and adventurous singles, Houston, Texas, is home to some fantastic tourist attractions that avid travelers should not miss. Houston is best known for a thriving culinary community, but for tourists who don’t have the time to drop by every single popular restaurant in the city, the Houston Culinary Tours is ideal as it is a three hour walking tour of the best restaurants, bars and cafes. 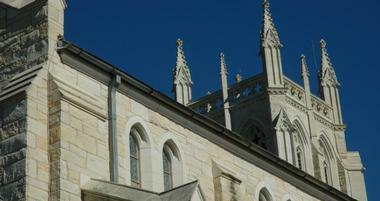 The tour also offers insights to the city’s heritage, architecture and culture. The Buffalo Bayou Brewing Company, another must-see walking tour ideal for beer lovers, takes visitors through a working brewery featuring craft beer, while the Well Done Cooking Classes taught by Celeste Terrel and Kathryn Hood teach beginner cooks to have fun in the kitchen. Nature lovers will adore the Houston Arboretum and Nature Center, an oasis for Houston’s urban wildlife. The Bayou Bend Collection and Gardens and the Rienzi, both located at the Museum of Fine Arts, are also gorgeous green wonderlands which boast stunning collections of American art. For tourists looking to catch local performances, the Hobby Center for the Performing Arts in the heart of the downtown area regularly host world-class performances while magical light and musical performances will leave you breathless at the James Turrell’s Twilight Epiphany Escape. Tourists can even their adrenaline pumping at iFly Indoor Skydiving, a state-of-the-art wind tunnel that accurately mimics the experience of real skydives. Arlington, Texas, is nothing short of a wonderland for sports lovers and enthusiasts around the globe. Football fans will undoubtedly enjoy a self-guided tour of the home of the Dallas Cowboys and an architectural masterpiece - the AT&T Stadium. For baseball fans, a public tour of the Global Life Park, the 48,114 seater stadium of the Texas Rangers is absolute must-see. The International Bowling Museum and Hall of Fame, located in the International Bowling Campus, is filled to the brim with unique artifacts from the sports 5,000 year history, which lovers of the game are bound to appreciate. Other sports related tourist attractions to visit are the Tierra Verde Golf Club, an award winning 250-acre golf course and Audubon Sanctuary, and the College Park Center, a modern sporting facility home to many exciting games of various sports. Keep reading for more Texas vacations. Beyond sports tourism, Arlington is also home to the majestic River Legacy Park, a 103-acre forest along the Trinity River which is a local favorite for scenic jogging, biking, picnicking and bird watching. The Levi Pavilion for the Performing Arts features a yearlong music festival and up to fifty free events for tourists and members of the community. Other destinations worth a visit are the Arlington Museum of Art, a non-collecting museum that focuses on Texan Contemporary Art, and the Planetarium at the University of Texas at Arlington, the biggest and most advanced planetarium in Texas with an impressive 60-foot diameter dome. A lovely and vibrant city, Fort Worth, Texas, is home to some of the oldest and historic tourist destinations in the country. Popular eco and nature tourist destinations in Fort Worth include the Fort Worth Botanic Garden, the oldest botanic garden in Texas with over 2,500 species of native and exotic plants. The nationally ranked Fort Worth Zoo on the other hand, is the oldest zoo in Texas and features 7,000 species of native and exotic animals. For nature lovers, the Fort Worth Nature Center and Refuge is a great place to see as it is one of the largest city owned nature centers in the country with 20 miles of hiking, jogging and biking trails. Keep reading for more Texas vacations. Enjoyable cultural destinations include the Fort Worth Stock Yards National Historic District where champion rodeos, Longhorn Cattle Drives and gunslinger shows are available to visitors. For a unique way to enjoy town, the Cowtown Cycle Party allows groups of 16 to tour Fort Worth on a multi-seater bar on wheels. Fans of live performances can catch the Four Day Weekend, the longest running comedy show in the Southwest, or head to the Sundance Square for live music, theater shows among other things. Some notable museums that shouldn’t be missed are the Fort Worth Museum of Science and History, the Amon Carter Museum of American Art and the Sid Richardson Museum. There’s always something to do in San Antonio, Texas. Top tourist attractions in this historic city include the Main Plaza, home to the San Fernando Cathedral and the center of San Antonio. The King William Historic District is the heart of the architectural revival movement in San Antonio and was officially designated a historic district in 1968. Another must-see historic destination is the iconic Alamo which, to this day, remains a symbol of courage and sacrifice for the cause of liberty. Not to be missed are the ruins of four historic missions and churches from the 1700’s at the San Antonio Missions. Take some time to enjoy natural beauty at the San Antonio River Walk, the heart and soul of the city, and the Natural Bridge Caverns which feature a 60-foot long natural limestone bridge and other massive, other-worldly formations. Get up close and personal with nature at the San Antonio Botanical Garden and its several collections, exhibit areas and seasonal display gardens. For the young, or the young at heart, the DoSeum is an interactive hands-on museum specifically built for children while Morgan’s Wonderland was made for individuals with special needs and features wheelchair accessible rides and attractions in 25 acres of land. Thrill-seekers looking for the ultimate adrenaline rush will find it at Six Flags Fiesta Texas, one of the most popular amusement parks in the country. Keep reading for more vacation spots in Texas. Easily explored over the course of a weekend, Plano, Texas is just a 30 minute drive from Dallas with historic attractions and family favorites. Travel back in time and experience farm life in the 1890’s at the Heritage Farmstead Museum, an authentic victorian farmhouse complete with authentic artifacts from past tenants. Fast forward just a little bit to 1896 at the Historic Downtown Plano where the original buildings of the city still stand and take part in frequent street events. Discover the first ever train station to be built in Plano at the Interurban Railway Museum or head to The Shops at Legacy for a walk through the 1847 landmark of Baccus Park. Spend a leisurely afternoon playing endless games of bowling at Pinstack, a state of the art bowling alley, or better yet, plan your trip to Plano in September and take part in the Plano Balloon Festival. Watch over 45 hot air balloons ascend to the sky or indulge your brave and curious side in one of the balloons at this 3-day festival. To enjoy some peace and quiet with nature, tourists and locals alike can visit the Arbor Hills Nature Preserve, a stunning recreational park with easy-to-get-to viewpoints, or the Oak Point Park and Nature Preserve, the largest park in Plano with over 8 miles of paved and dirt trails. Blessed with gorgeous beaches and with a deep appreciation for history and the arts, Corpus Christi has many tourist attractions for people of various interests. 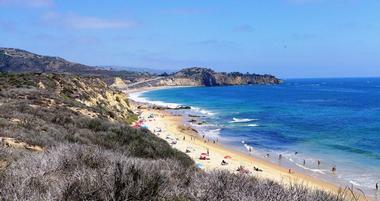 For beach goers, a day of sunbathing, swimming and lounging can be enjoyed at the gorgeous shores of North Beach. At the Bob Hall Pier, tourists can walk along the 1,240 foot long pier and take part in several water activities such as fishing, surfing and swimming. Explore over 70 miles of protected and undeveloped coastlines at the Padre Island National Seashore and discover stunning spots within its rolling dunes and large prairies. For a unique experience of the beach, try the Horses on the Beach tour and travel the coastline on well-trained horses led by expert guides. History lovers will enjoy a visit to the USS Lexington, which is dedicated to over 50 years of the USS Lexington’s service to American defense, and the Selena Museum, a memorial to the Queen of Tejano Music, Selena Quintanilla-Perez. For tourists with a passion for surfing, head to the Texas Surf Museum and learn about the long and elaborate history of surfing through the ages. Of course, a trip to Corpus Christi is not complete without a quick visit the South Texas Institute for the Arts and the Art Center of Corpus Christi. 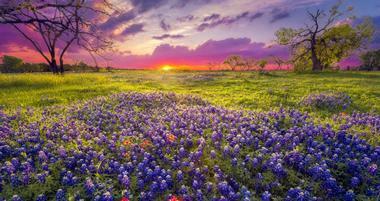 Keep reading for more vacation spots in Texas. 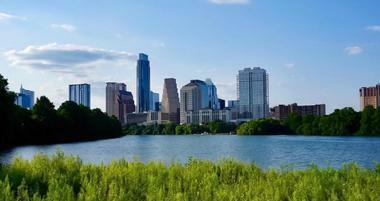 A well-rounded trip to Austin, Texas, is easy to accomplish when you visit the top tourist destinations in the city. Take in all that the urban jungle has to offer at one of the oldest urban hike-and-bike trails in Texas, the Boardwalk Trail of Lady Bird Lake. 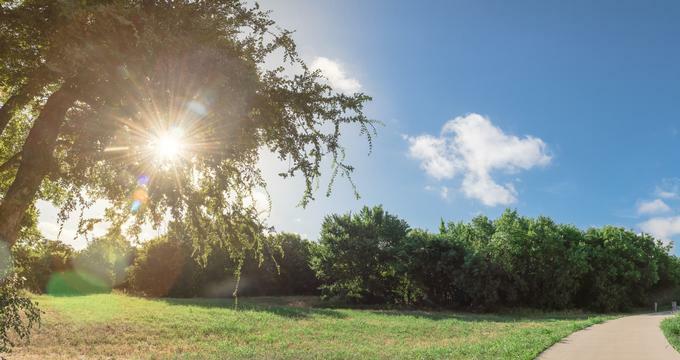 The Zilker Metropolitan Park also offers a stunning backdrop for some jogging and sightseeing as it is the home of the Zilker Botanical Gardens, the Umlauf Sculpture Garden and Museum and more. For visitors that want to learn more about the Lone Star State, a visit to the Bullock Texas State History Museum will walk you through the history of Texas from its foundation to its name. The LBJ Presidential Library is another must-see for history lovers as it is one of thirteen presidential libraries in the country and safeguards over 45 million pages of historical documents. Savor an afternoon of art at the Blanton Museum of Art, the official museum and research center of the University of Texas, and enjoy a cultural gateway to the world through over 17,000 pieces of art. For the ultimate theater experience, visit the ZACH Theatre, one of the country’s ten oldest theaters and the longest-running theatre company in Texas’ history. Great places to stay in Texas: Rosewood Crescent, Sinya on Lone Man Creek, Sage Hill Inn, Rough Creek Lodge, The Houstonian, The Driskill, Lake Austin Spa Resort. A city bursting at the seams with history, El Paso is home to beautiful parks, museums and historical landmarks of Texas. Exciting ways to enjoy El Paso’s natural geography include a trip to the Franklin Mountain State Park, where over 100 miles of trails can be explored. Soar above the canyons of the park at the Wyler Aerial Tramway, a 4 minute ride up 5,632 feet. Tourists with the strength and stamina to conquer 2,175 of steep climbs and rocky paths will enjoy the Thousand Steps Trails while those who simply want to explore at their own leisure can admire the 1,460 rose bushes at the El Paso Municipal Rose Garden. For a taste of El Paso’s rich history, observe the serenity of the Chamizal National Memorial, an urban park at the border of the United States and Mexico that serves as a tribute to peaceful settlement. The Magoffin Home State Historic Site, another must-see from El Paso’s rich history, is a territorial style home from 1875 that housed the Magoffin Family, active participants in US Expansion, military service, US-Mexico Relations and the Civil War. Other great historical landmarks to visit are the Plaza Theatre, Mission Trail, and the San Elizaro Historic District. Meanwhile, the Museum of Archaeology, UTEP Centennial Museum and Fort Bliss and Old Ironside Museum are great attractions for museum lovers. A small but charming town in the heart of Hill Country, Fredericksburg, Texas, is a popular honeymoon destination in the Lone Star State where German tradition and Texan hospitality come together. The town was made famous by its German colonial heritage and culture as well as rolling vineyards owned by local wineries. Travel down Fredericksburg’s main street for culinary treats at Bavarian-themed restaurants and beer gardens, or enjoy a lunch at farm-to-table establishments that put a premium on locally sourced ingredients. Better yet, take a short drive to the nearest vineyard to delight in the region’s best vintages. Fredericksburg also has its own fair share of gorgeous landscapes such as the Lyndon B. Johnston State Park and Historic Site or the Enchanted Rock State Natural Area. Homey accommodations like the Cotton Gin village also boast of grand gardens and serene koi ponds. Make it a point to catch a show at the Fredericksburg Theater Company or the Rockbox Theater to enjoy the talents of local performances and wander through the stalls of the Fredericksburg Farmer’s Market for one-of-a-kind items and produce. The Enchanted Rock Cave and Natural Area has drawn locals and visitors in with its mystical charm for over thousands of years. The massive pink granite dome rises above Central Texas, and visitors who climb it are in for some amazing views of Texas' hill country. Though families will enjoy the legend behind the formation and the scenery that is visible after scaling it, there is so much more to do in the magical rock cave and the surrounding areas. 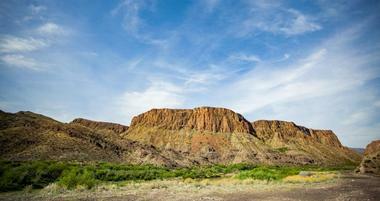 Activities include hiking, walking the trails, rock climbing, backpacking, camping, and stargazing. Animal and nature lovers will enjoy exploring the surrounding area and can even have a picnic there. Families visiting Old Tunnel State Park can spend the day enjoying the open trails from sunrise to sunset. The park is wonderful for hiking and viewing general wildlife, but ornithology lovers will especially enjoy bird watching in the rich surroundings. From May to October, the park schedules bat viewings in the lower area of the park, as Old Tunnel State Park is famed for the variety and number of bat colonies that can be found in the area. The park is named after the abandoned railroad tunnel the bats reside in, which is filled with over 3 million Mexican free-tailed bats and 3,000 cave myotis bats. Families planning ahead can visit the park with a picnic in tow, as there are designated areas with picnic tables.